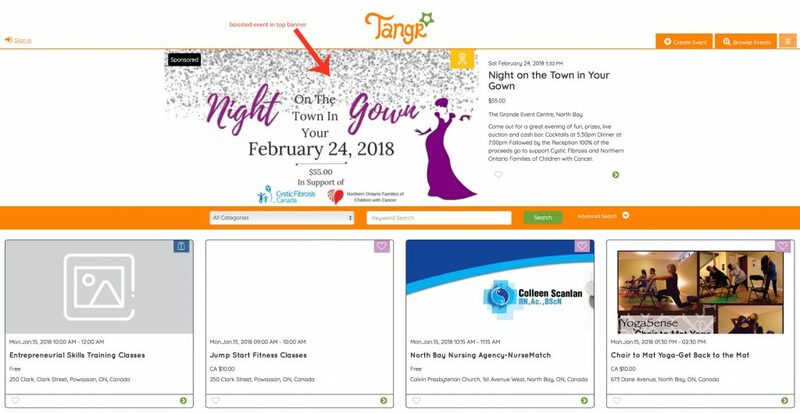 How can an event planner move their event into the top banner space on the event feed? Price of the large banner displayed at the top of the event directory is $5/day. Is there is a minimum number of days I can advertise my event? No, an advertiser can select however long they’d like to promote their event.